We’re excited you’re here and we hope you’ll explore our next show. Sometimes, retailers mistakenly think the off-price channel has low-quality merchandise or last year’s trends and styles. But what we’ve found is that many newcomers are pleasantly surprised by the treasures they find. Every show is different and our vendors feature products your customers will love, at prices they’ll love even more. There’s no right or wrong way to shop the show. We have aisles and aisles of over 1,000 booths for you to see. It can be a lot to take in at first, but our team is here to help! 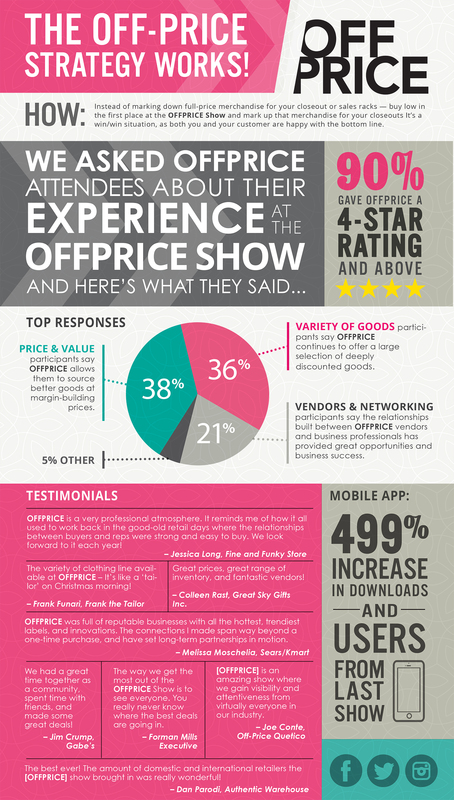 Many buyers find it helpful to make appointments to meet vendors at the show. If you tell us what kinds of products you’re looking for, we can help match you with the right exhibitors. If you’d like to schedule an on-site buying tour with an OFFPRICE staff member, select the button below. 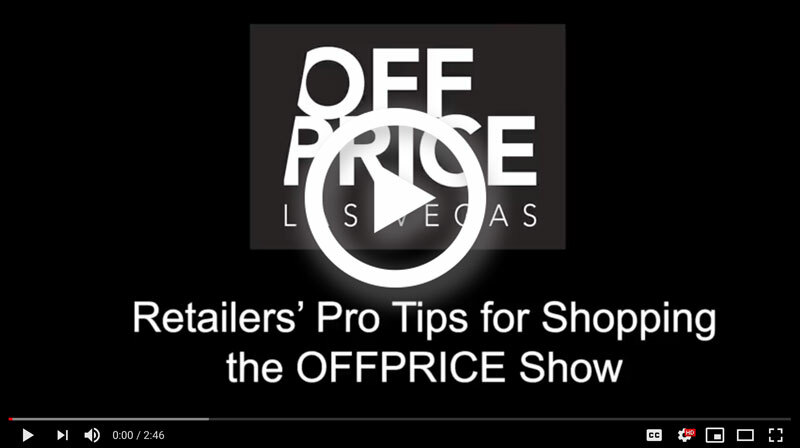 OFFPRICE is debuting a new, section on the wholesale floor at the February 2019 show, called Boutique Buyer. Made up of mostly new vendors, this section will offer elevated goods at slightly higher price points in mostly missy and women's categories. We have partnered with some of the most popular restaurants and attractions to get exclusive deals for our attendees. Check out some of experiences you can book with OFFPRICE exclusive deals.